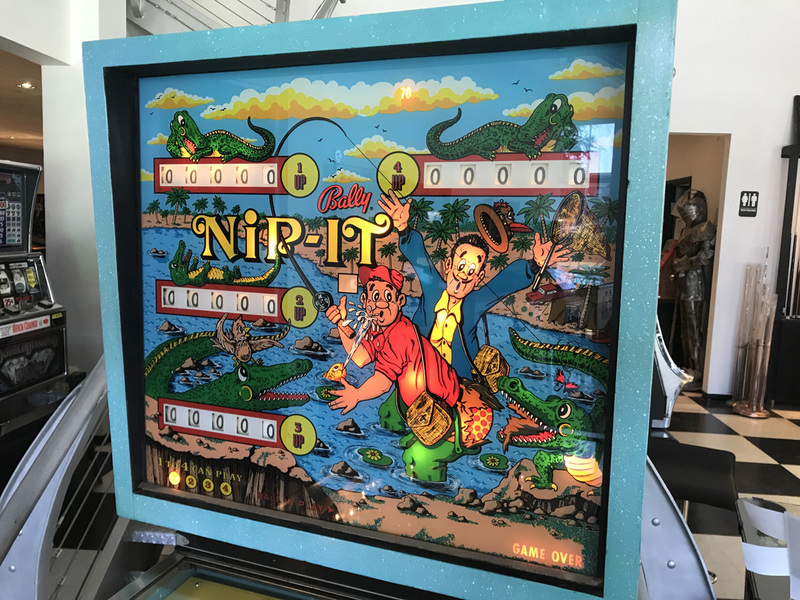 Nip-It Pinball Machine | Fun! 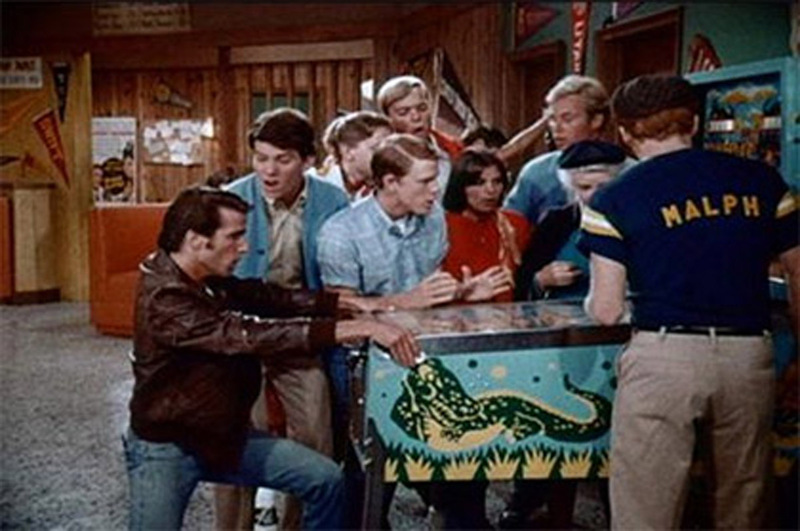 Here is a classic electro-mechanical pinball machine made famous by “The Fonz” from the hit 70’s TV Show, HAPPY DAYS. Nip-It is a four player machine, meaning up to 4 people can play head to head against each other each game. 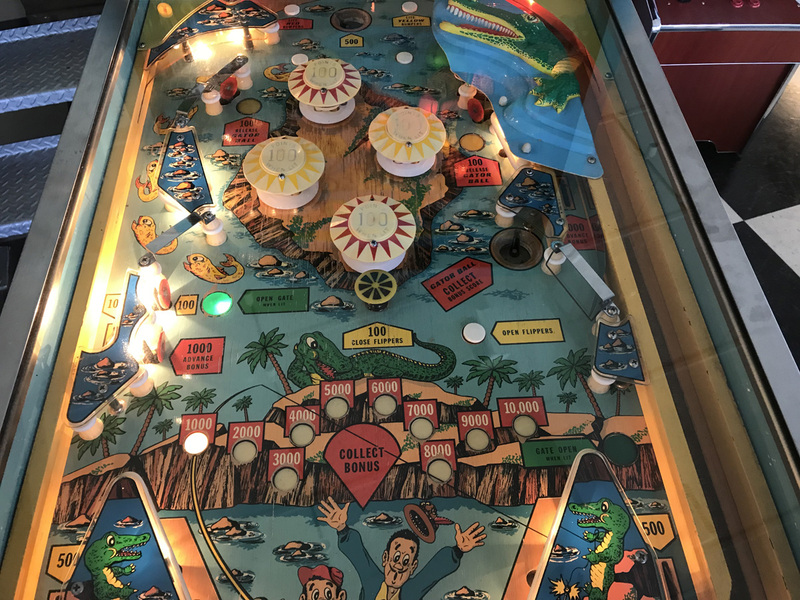 For a multi-player electro-mechanical this game is packed with features including 4 pop bumpers, mushroom bumpers, 2 saucer holes, stand up targets, zipper flippers (that open and close at different times during game play) and unique to Nip-It, the Bally-Gator Ball. 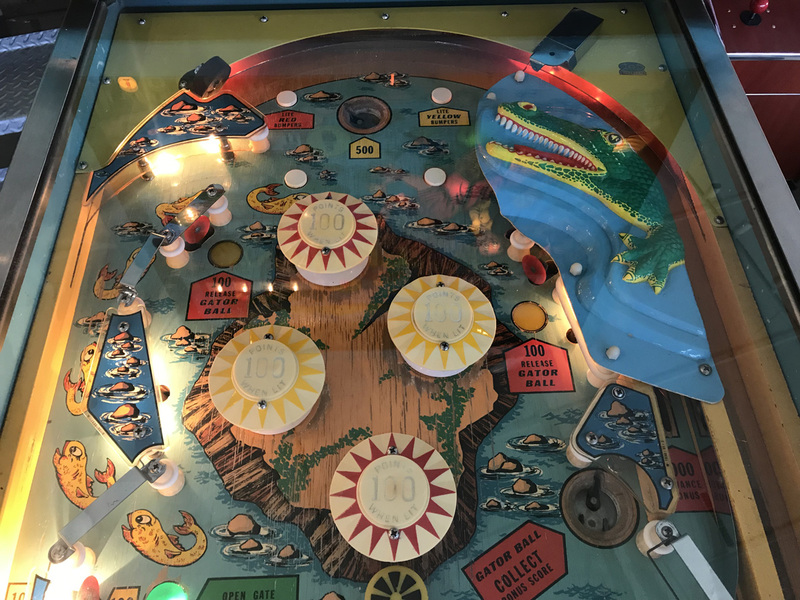 Use the additional button on the right side of the cabinet to allow the Bally-Gator to grab the ball when at the top of the playfield and advance bonus. 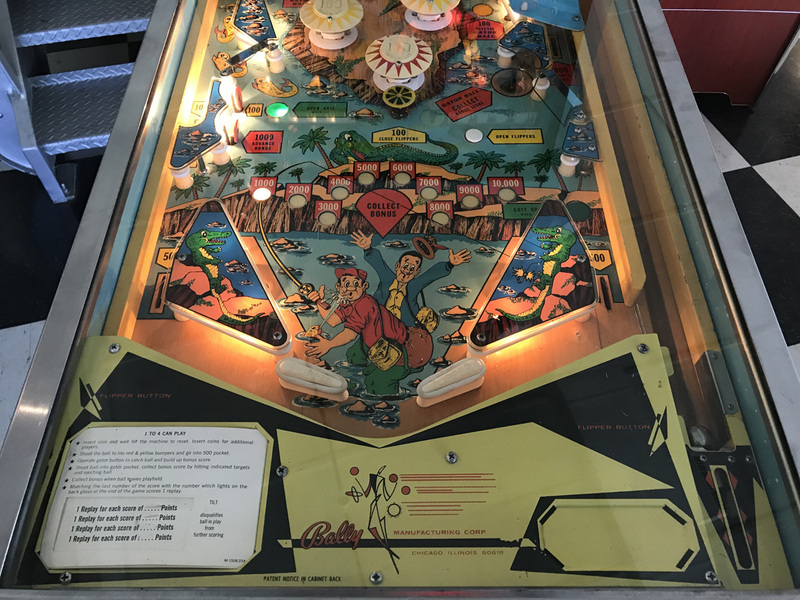 This Nip-It Pinball is in great shape for its age. 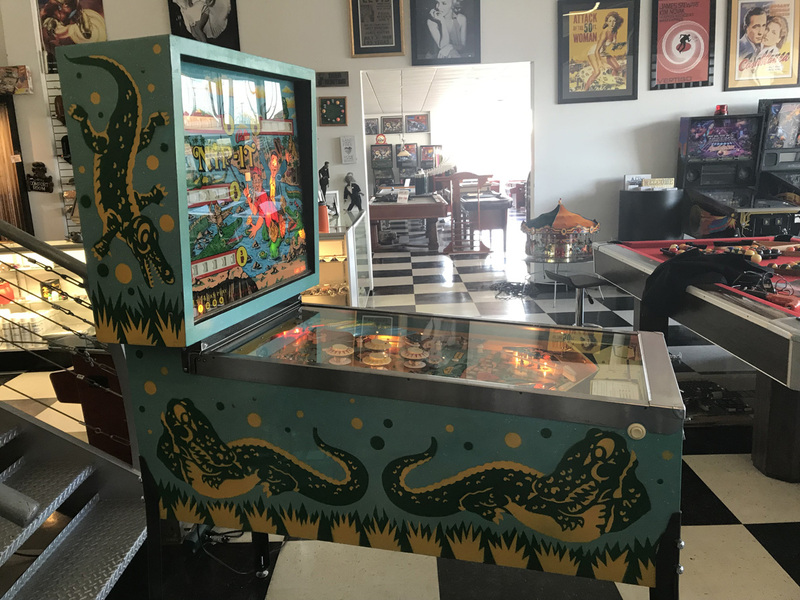 The backglass is in near mint condition with no noticeable imperfections, the cabinet has had a small amount of touch up done with color matched paint. 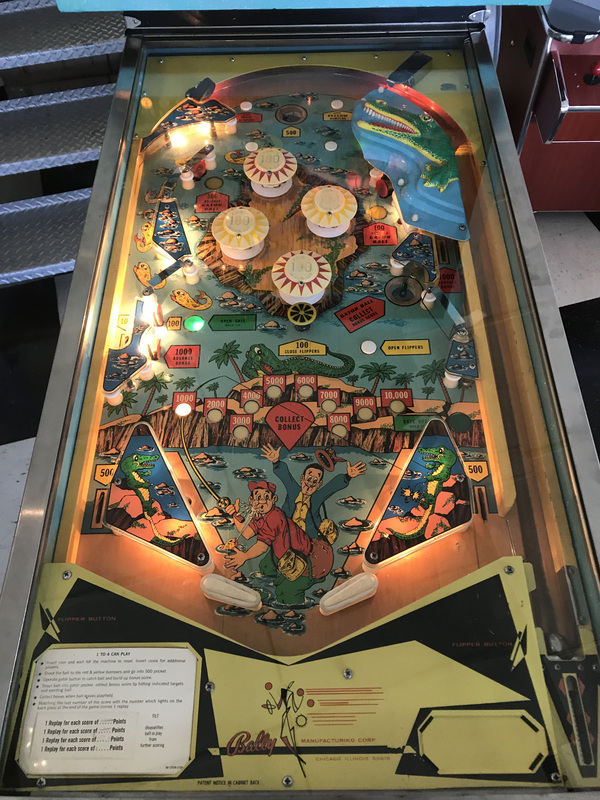 There is some wear on the playfield around the pop bumpers due to the games age but this does not effect game play and we preferred to leave it alone for a touch of the games original patina. 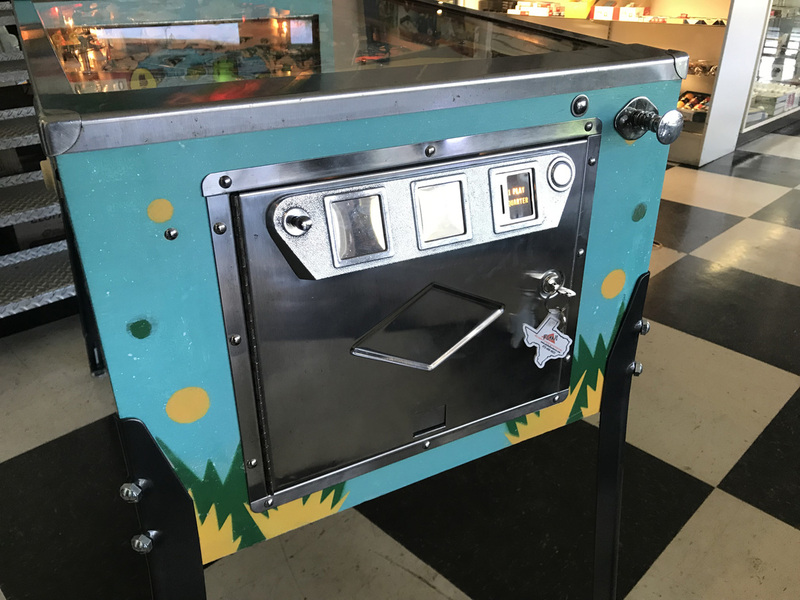 We have thoroughly shopped out the playfield by removing all components and giving the playfield a good cleaning and polish. All new light bulbs , rubber rings and ball. 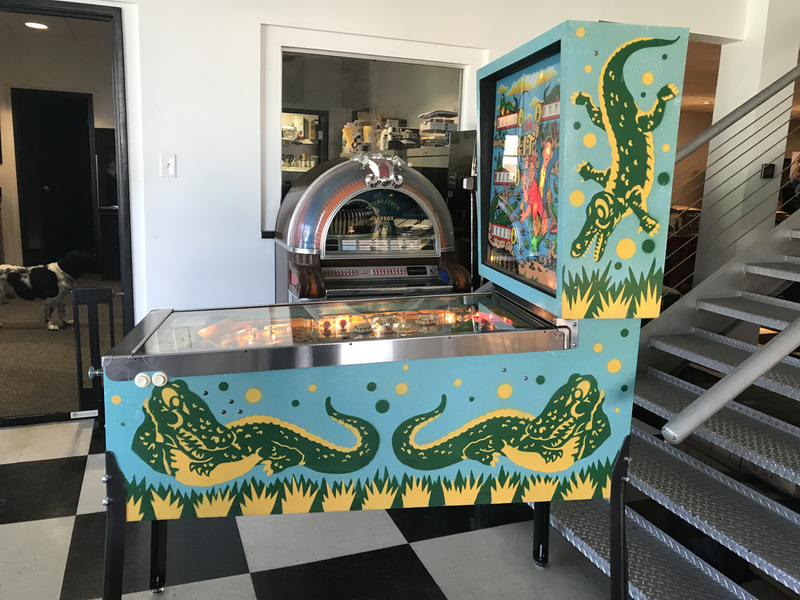 All cabinet exterior metal has been polished to a high shine and new playfield glass installed. Brand new pinball legs, leg bolts and levelers installed. 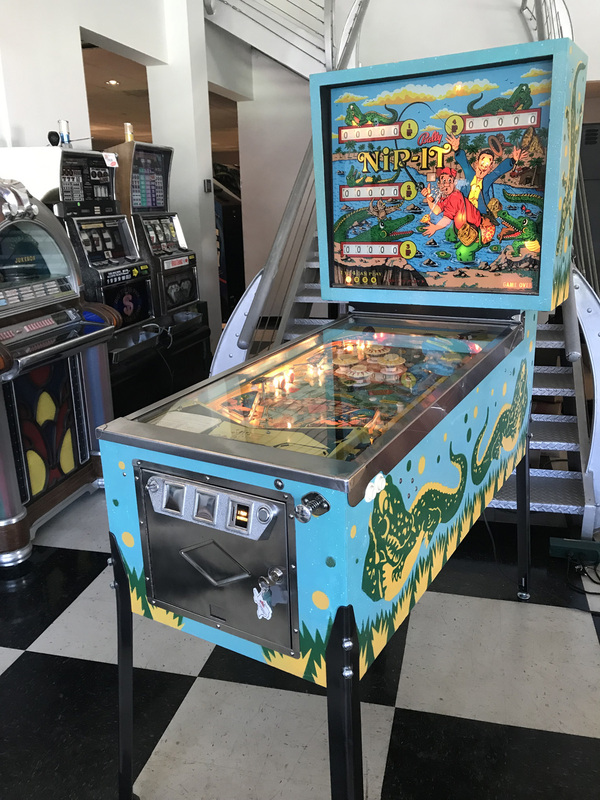 This game has been thoroughly reconditioned and fine tuned by our electro-mechanical expert pinball technician and it should give you many years of enjoyment. PLEASE NOTE: Nip-It works great! We encourage any prospective buyer to please visit our store and see and play this game in person. However often times, electro-mechanical machines need to be adjusted after transport due to their age and nature. With that being said, no warranty is offered with this machine.